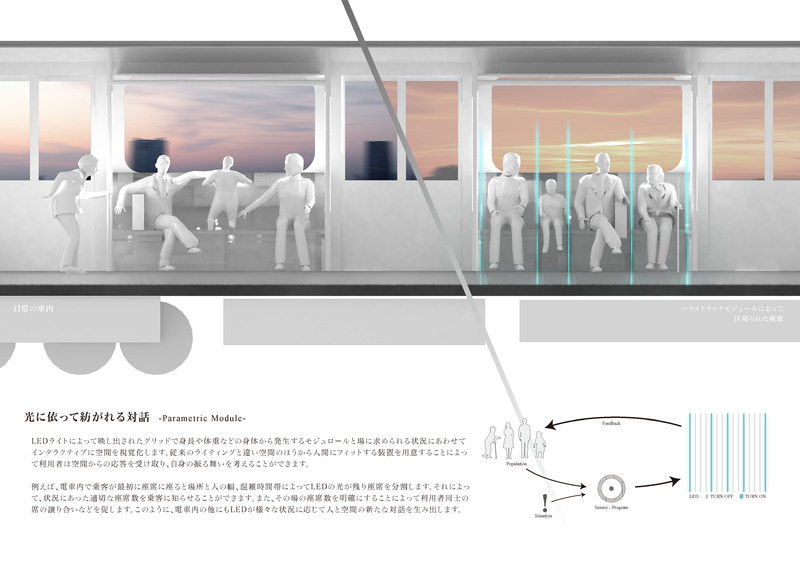 We have proposed flexible module with LED, which embedded into benches in the train, for instance. This Light will inform the appropriate space for one people, not too much but fit depending on height or weight especially width of body, then interaction between human and machine will happen, and human side can again re-think about own space. For example machine will afford tight pitch when the train is crowded in the morning, on the other hand, otherwise it will be kept wider pitch when it was not crowded.